Feel cute in this black frilled crop top by SIR the Label! 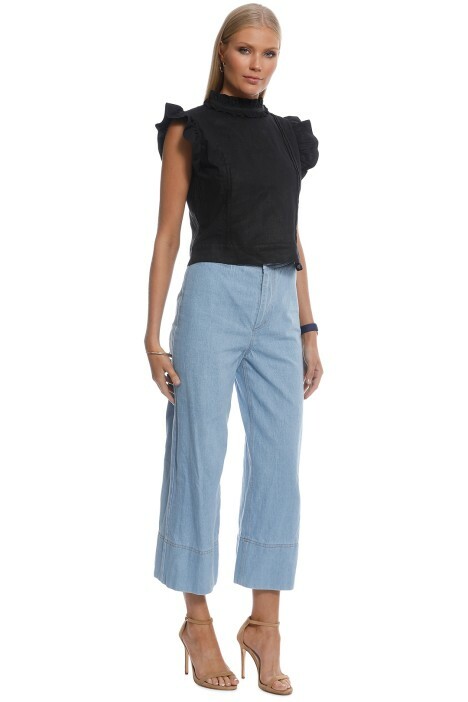 Perfect for summer, the top is made from a lightweight linen blend and features a high neckline with ruffled trim. Ultra-chic and sophisticated, hire it for a daytime event or for date night. Complete your date night look by styling the top with a denim mini skirt available to rent and a pair of beaded diamante earrings. Check out our blog post for some makeup looks to try for date night!